Petroleum technicians work in a wide variety of special­ties. Many kinds of drilling technicians drill for petroleum from the earth and beneath the ocean. Loggers analyze rock cuttings from drilling and measure characteristics of rock layers. Various types of production technicians “complete” wells (prepare wells for production), collect petroleum from producing wells, and control produc­tion. Engineering technicians help improve drilling tech­nology, maximize field production, and provide technical assistance. Maintenance technicians keep machinery and equipment running smoothly. There are approximately 11,000 petroleum and geological technicians employed in the United States. In the 1950s and 1960s, the oil industry was relatively sta­ble. Oil was cheap and much in demand. The international oil market was dominated by the “seven sisters”—Shell, Esso, BP, Gulf, Chevron, Texaco, and Mobil. However, by the end of the 1960s, Middle Eastern countries became more dominant. Many nationalized the major oil compa­nies’ operations or negotiated to control oil production. To promote and protect their oil production and revenues gained, Iran, Iraq, Kuwait, Saudi Arabia, and Venezuela formed OPEC (the Organization of Petroleum Export­ing Countries). The Arab producers’ policies during the Arab/Israeli War of 1973-74 and the Iranian Revolution in 1978 disrupted oil supplies and skyrocketed oil prices, indicating just how powerful OPEC had become. By the early 1980s, economic recession and energy conservation measures had resulted in lower oil prices. There was and still is worldwide surplus production capacity. OPEC, which expanded membership to coun­tries in the Far East and Africa, tried to impose quotas limiting production, with little success. In 1986, prices, which had once again risen, plummeted. The events of the 1970s and 1980s significantly altered the nation’s attitude toward the price and availability of petroleum products. Domestic oil companies came to realize that foreign sources of oil could easily be lost through regional conflicts or international tensions. The drop in prices during the mid- 1980s, however, reinforced the need for domestic producers to continue to find eco­nomical oil-producing methods to remain competitive with foreign-produced oil. These developments have fostered great changes in the technology of oil drilling, in the science related to oil exploration, and in the management of existing oil fields. In many old abandoned fields, scientists found that they still had nearly as much oil as had been produced from them by older methods. New technology is con­stantly being developed and used to find ways of extracting more of this remaining oil economically from old and new fields alike. The petroleum technician occupation was created to help the industry meet such challenges. Technological changes require scientifically competent technical workers as crewmembers for well drilling and oil field management. Well-prepared technicians are essential to the oil industry and will continue to be in the future. Before petroleum technicians can begin work on an oil reservoir, pro­spective sites must first be sought by geological exploration teams. These crews perform seismic sur­veying, in which sound waves are created and their reflection from underground rocks recorded by seismographs, help locate potential sources of oil. Other team mem­bers collect and examine geological data or test geological samples to determine petroleum and mineral content. They may also use survey­ing and mapping instruments and techniques to help locate and map test holes or the results of seismic tests. It is the drill bit, however, that ultimately proves whether or not there is oil. Drilling for oil is a highly skilled opera­tion involving many kinds of technicians: rotary drillers, derrick operators, engine operators, and tool pushers. In the most common type of drilling, a drill bit with metal or diamond teeth is suspended on a drilling string consisting of 30-foot pipes joined together. The string is added to as the bit goes deeper. The bit is turned either by a rotary mechanism on the drill floor or, increasingly, by a downhole motor. As drilling progresses, the bit gets worn and has to be replaced. The entire drilling string, sometimes weighing more than 100 tons must be hauled to the surface and dismantled section by section, the bit replaced, then the string reassembled and run back down the well. Known as a “round trip,” this operation can take the drilling crew most of a 12-hour shift in a deep well. Until recently, drill strings were mostly manually handled; however, mechanized drill rigs that handle pipe automatically have been introduced to improve safety and efficiency. The driller directs the crew and is responsible for the machinery operation. The driller watches gauges and works throttles and levers to control the hoisting and rotation speed of the drill pipe and the amount of weight on the bit. Special care is needed as the bit nears oil and gas to avoid a “blow-out.” Such “gushers” were common in the early days of the oil industry, but today’s drilling technicians are trained to prevent them. Drillers also are responsible for recording the type and depth of strata penetrated each day and materials used. Derrick operators are next in charge of the drilling crew. They work on a platform high up on the derrick and help handle the upper end of the drilling string dur­ing placement and removal. They also mix the special drilling “mud” that is pumped down through the pipe to lubricate and cool the bit as well as help control the flow of oil and gas when oil is struck. Engine operators run engines to supply power for rotary drilling machinery and oversee their maintenance. They may help when the roughnecks pull or add pipe sections. Tool pushers are in charge of one or more drilling rigs. They oversee erection of the rig, the selection of drill bits, the operation of drilling machinery, and the mixing of drilling mud. They arrange for the delivery of tools, machinery, fuel, water, and other supplies to the drilling site. One very specialized drilling position is the oil-well fishing-tool technician. These technicians analyze condi­tions at wells where some object, or “fish,” has obstructed the borehole. They direct the work of removing the obsta­cle (lost equipment or broken drill pipes, for example), choosing from a variety of techniques. During drilling, mud test technicians, also called mud loggers, use a microscope at a portable laboratory on-site to analyze drill cuttings carried out of the well by the cir­culating mud for traces of oil. After final depth is reached, technicians called well loggers lower measuring devices to the bottom of the well on cable called wireline. Wire­line logs examine the electrical, acoustic, and radioactive properties of the rocks and provide information about rock type and porosity, and how much fluid (oil, gas, or water) it contains. These techniques, known as formation evaluation, help the operating company decide whether enough oil exists to warrant continued drilling. The first well drilled is an exploration well. If oil is discovered, more wells, called appraisal wells, are drilled to establish the limits of the field. Then the field’s eco­nomic worth and profit are evaluated. If it is judged eco­nomically worthwhile to develop the field, some of the appraisal wells may be used as production wells. The production phase of the operation deals with bringing the well fluids to the surface and preparing them for their trip through the pipeline to the refinery. The first step is to complete the well—that is, to per­form whatever operations are needed to start the well fluids flowing to the surface—and is performed by well-servicing technicians. These technicians use a variety of well-com­pletion methods, determined by the oil reservoir’s char­acteristics. Typical tasks include setting and cementing pipe (called production casing) so that the oil can come to the surface without leaking into the upper layers of rock. Well-servicing technicians may later perform main­tenance work to improve or maintain the production from a formation already producing oil. These technicians bring in smaller rigs similar to drilling rigs for their work. After the well has been completed, a structure consist­ing of control valves, pressure gauges, and chokes (called a Christmas tree because of the way its fittings branch out) is assembled at the top of the well to control the flow of oil and gas. Generally, production crews direct operations for several wells. Well fluids are often a mixture of oil, gas, and water and must be separated and treated before going into the storage tanks. After separation, treaters apply heat, chemi­cals, electricity, or all three to remove contaminants. They also control well flow when the natural pressure is great enough to force oil from the well without pumping. Pumpers operate, monitor, and maintain production facilities. They visually inspect well equipment to make sure it’s functioning properly. They also detect and perform any routine maintenance needs. They adjust pumping cycle time to optimize production and measure the fluid levels in storage tanks, recording the information each day for entry on weekly gauge reports. Pumpers also advise oil haulers or purchasers when a tank is ready for sale. Gangers ensure that other company personnel and purchasers comply with the company’s oil measurement and sale policy. They spotcheck oil measurements and resolve any discrepancies. They also check pumpers’ equipment for accuracy and arrange for the replacement of malfunctioning gauging equipment. Once a field has been brought into production, good reservoir management is needed to ensure that as much oil as possible is recovered. Production engineering tech­nicians work with the production engineers to plan field workovers and well stimulation techniques such as secondary and tertiary recovery (for example, inject­ing steam, water, or a special recovery fluid) to maxi­mize field production. Reservoir engineering technicians provide technical assistance to reservoir engineers. They prepare spreadsheets for analyses required for economic evaluations and forecasts. They also gather production data and maintain well histories and decline curves on both company-operated and outside-operated wells. The petroleum industry has a need for other kinds of technicians as well, including geological technicians, chemical technicians, and civil engineering technicians. All petroleum technician jobs require at least a high school diploma, and a few specialties require at least a bachelor’s degree. If you are interested in this field, you should begin pre­paring in high school by taking math, algebra, geometry, trigonometry, and calculus classes. Earth science and physics are other useful subjects. High school courses in drafting, mechanics, or auto shop are also valuable prepa­ration, especially for drilling and production technicians. Computer skills are particularly important for engineer­ing technicians, as are typing and English courses. As mentioned above, postsecondary training is required for only a few petroleum technician positions. For exam­ple, a mud test technician must have at least a bachelor’s degree in geology. Although postsecondary training is not usually required for drilling, production, or engi­neering technicians, these workers can gain familiarity with specified basic processes through special educa­tion in technical or community colleges. Postsecondary training can also help entry-level workers compete with experienced workers. Petroleum technology programs, located primarily at schools in the West and Southwest, are helpful both for newcomers to the field and for those trying to upgrade their job skills. An associate’s degree in applied science can be earned by completing a series of technical and education courses. 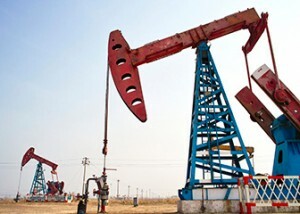 Petroleum technology programs provide training in drilling operations, fluids, and equipment; production methods; formation evaluation along with the basics of core analysis; and well completion methods and petro­leum property evaluation, including evaluation of pro­duction history data and basic theories and techniques of economic analysis. These programs emphasize practical applications in the laboratory, field trips, and summer employment, as available. Specialized training programs designed for oil com­pany employees are offered by the suppliers of the special materials, equipment, or services. Petroleum technicians must be able to work with accu­racy and precision; mistakes can be costly or hazardous to the technician and to others in the workplace. You should also be able to work both independently and as part of a team, display manual dexterity, mathematical aptitude, and be willing to work irregular hours. Much of the work in the petroleum industry involves physical labor and is potentially dangerous. Field techni­cians must be strong and healthy, enjoy the outdoors in all weather, and be flexible and adaptable about working conditions and hours. Drilling crews may be away from their home base for several days at a time, while techni­cians on offshore rigs must be able to deal with a restricted environment for several days at a time. Petroleum techni­cians must also like working with machinery, scientific equipment and instruments, and computers. In addition, petroleum technicians must have good eyesight and hear­ing and excellent hand, eye, and body coordination. Some technicians must operate off-road vehicles to transport people, supplies, and equipment to drilling and production sites. Most of this task is learned on the job after formal training is completed. Some petroleum technicians require additional safety training, including hazardous materials training and first-aid training. In some cases, special physical examinations and drug testing are required. Testing and examinations generally take place after technicians are hired. You may want to investigate petroleum technician occupations further by checking your school or public libraries for books on the petroleum industry. Other resources include trade journals, high school guid­ance counselors, the career services office at technical or community colleges, and the associations and Web sites listed at the end of this article. If you live near an oil field, you may be able to arrange a tour by contact­ing the public relations department of oil companies or drilling contractors. Summer and other temporary jobs on drilling and production crews are excellent ways of finding out about this field. Temporary work can provide you with first­hand knowledge of the basics of oil field operations, equipment maintenance, safety, and other aspects of the work. You may also want to consider entering a two-year training program in petroleum technology to learn about the field. Although drilling for oil and gas is conducted in a large number of states, 77 percent of workers in this field are employed in five states: Alaska, Louisiana, Oklahoma, Wyoming, and Texas. Employers in the crude petroleum and natural gas industry include major oil companies and independent producers. The oil and gas field services industry, which includes drilling contractors, logging companies, and well servicing contractors, is the other major source of employment. Approximately 11,000 petroleum and geological technicians are employed in the United States. You may enter the field of petroleum drilling or pro­duction as a laborer or general helper if you have com­pleted high school. From there, you can work your way up to highly skilled technical jobs, responsibilities, and rewards. Engineering technicians might start out as engineer­ing or production secretaries and advance to the posi­tion of technician after two to five years of on-the-job experience and demonstrated competency in the use of computers. Other technicians, such as mud test loggers or well loggers, will need a geology degree first. Upon obtaining your degree, you may start out as an assistant to experi­enced geologists or petroleum engineers. Generally speaking, industry recruiters from major companies and employers regularly visit the career ser­vices offices of schools with petroleum technology pro­grams and hire technicians before they finish their last year of technical school or college. Because many graduates have little or no experience with well drilling operations, new technicians work pri­marily as assistants to the leaders of the operations. They may also help with the semiskilled or skilled work in order to become familiar with the skills and techniques needed. It is not uncommon, however, for employers to hire newly graduated technicians and immediately send them to a specialized training program. These pro­grams are designed for oil company employees and usually are offered by the suppliers of the special mate­rials, equipment, or services. After the training period, technicians may be sent anywhere in the world where the company has exploratory drilling or production operations. In oil drilling and production, field advancement comes with experience and on-the-job competency. Although a petroleum technology degree is generally not required, it is clearly helpful in today’s competitive climate. On a drilling crew, the usual job progression is as follows: from roughneck or rig builder to derrick operator, rotary driller, to tool pusher, and finally, oil production man­ager. In production, pumpers and gaugers may later become oil company production foremen or operations foremen; from there, they may proceed to operations management, which oversees an entire district. Manag­ers who begin as technicians gain experience that affords them special skills and judgment. Self-employment also offers interesting and lucra­tive opportunities. For example, because many drilling rigs are owned by small, private owners, technicians can become independent owners and operators of drilling rigs. The rewards for successfully operating an independent drill can be very great, especially if the owner discovers new fields and shares in the royalties for production. Working as a consultant or a technical salesperson can lead to advancement in the petroleum industry. Success is contingent upon an excellent record of field success in oil and gas drilling and production. In some areas, advancement requires further edu­cation. Well loggers who want to analyze logs are required to have at least a bachelor’s degree in geol­ogy or petroleum engineering, and sometimes they need a master’s degree. With additional schooling and a bachelor’s degree, an engineering technician can become an engineer. For advanced level engineering, a master’s degree is the minimum requirement and a doctorate is typically required. Upper-level researchers also need a doctorate. During periods of rapid growth in the oil industry, advancement opportunities are plentiful for capable workers. However, downsizing in recent years has made advancement more difficult, and in many cases techni­cians, geologists, engineers, and others have accepted positions for which they are overqualified. Because of their many work situations and conditions, petroleum technicians’ salaries vary widely. 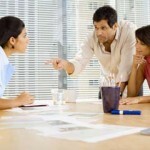 Salaries also vary according to geographic location, experi­ence, and education. Petroleum and geological techni­cians had median annual earnings of $43,750 in 2005, according to the U.S. Department of Labor. Salaries ranged from less than $21,630 to $84,650 or more annually. In general, technicians working in remote areas and under severe weather conditions usually receive higher rates of pay, as do technicians who work at major oil companies and companies with unions. Fringe benefits are good. Most employers provide health and accident insurance, sick pay, retirement plans, profit-sharing plans, and paid vacations. Education ben­efits are also competitive. Petroleum technicians’ workplaces and conditions vary as widely as their duties. They may work on land or off­shore, at drilling sites or in laboratories, in offices or refineries. Field technicians do their work outdoors, day and night, in all kinds of weather. Drilling and production crews work all over the world, often in swamps, deserts, or in the mountains. The work is rugged and physical, and more dangerous than many other kinds of work. Safety is a big concern. Workers are subject to falls and other accidents on rigs, and blowouts can injure or kill workers if well pressure is not controlled. Drilling crews often move from place to place because work in a particular field may be completed in a few weeks or months. Technicians who work on production wells usually remain in the same location for long periods. Hours are often long for both groups of workers. Those working on offshore rigs and platforms can experience strong ocean currents, tides, and storms. Liv­ing quarters are usually small, like those on a ship, but they are adequate and comfortable. Workers generally live and work on the drilling platform for days at a time and then get several days off away from the rig, returning to shore by helicopter or crewboat. Engineering technicians generally work indoors in clean, well-lit offices, although some may also spend part of their time in the field. Regular, 40-hour workweeks are the norm, although some may occasionally work irregu­lar hours. Employment of petroleum technicians is expected to have little or slower than average growth through 2014, according to the U.S. Department of Labor (USDL). Companies are continuing to restructure and reduce costs in an effort to conserve more money for explora­tion and drilling abroad and offshore. The implementa­tion of these measures may mean fewer opportunities for petroleum technicians. Besides looking for new fields, companies are also expending much effort to boost production in exist­ing fields. New cost-effective technology that permits new drilling and increases production will continue to be important in helping the profitability of the oil industry. Despite its recent difficulties, the oil industry still plays an important role in the economy and employ­ment. Oil and gas will continue to be primary energy sources for many decades. Most job openings will be due to retirements and job transfer. Technicians with special­ized training will have the best employment opportuni­ties. The USDL reports that professional, scientific, and technical services firms will increasingly seek the ser­vices of petroleum technicians who can act as consultants regarding environmental policy and federal pollution mandates.